Located at the South-East corner of the Iberian Peninsula, between the regions of Andalusia, Castile-La Mancha and Valencia, Murcia is the ninth largest of the Spanish autonomous communities. Major cities within this region include Murcia and Cartagena with the main airport being San Javier Murcia, but Alicante is within a reasonable drive providing an additional option. The Costa Calida, ‘Warm Coast’ is the mediterranean coastline of the province of Murcia. The region has a micro climate delivering a mediterranean semi-arid climate producing an average annual temperature of 18ºC with hot summers registering maximum temperatures of 40ºC and mild winters offering an average temperature of 11ºC during December and January. The number of days per year with clear skies is 120-150, with approximately 2,800 sun-hours per annum. In general rain is scarce throughout the region with 300-350 mm per year, but this mainly falls around the spring and autumn periods, leaving the summer months an eminently dry season. On the coast temperatures tend never to fall below 10ºC. Murcia has just over 250km of coastline with a combination of coves, small beaches, rocky shores and cliffs. 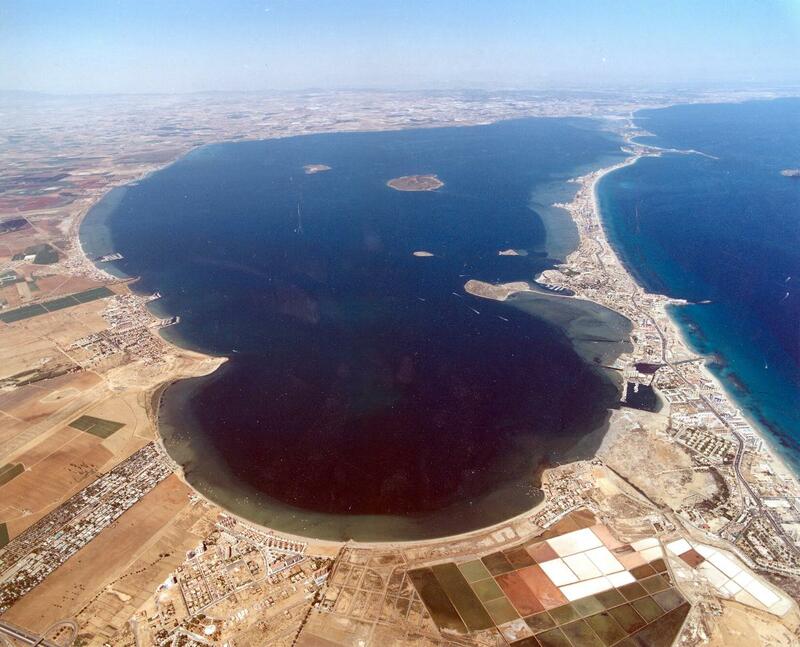 La Manga, a 22km by 100m coastal strip of land virtually closes off the Mar Menor lagoon from the Mediterranean. The Mar Menor, (Little Sea) is Europe’s largest salt water lagoon and a haven for water sports boosting an area of around 170km2. The deepest point is 7m and without a tide or large waves, this provides the perfect surroundings for all ages and abilities. Murcia is a somewhat sleepier quieter region than its larger northern Valencian neighbour, Costa Blanca. Evidence of this farming community confirms that thirteen per cent of the vegetables grown in Europe are cropped in Murcia. As a region, Murcia is a vibrant producer of lettuce, artichokes, lemons, oranges, peaches, peppers, plums, tomatoes, table grapes and melons. Much of this produce can be readily found on our tables in the UK! Selecting the right area to purchase your property is an essential element to successfully settling and intergrating into Spanish lifestyle. Murcia offers a sleepier, slower Spanish pace of living, but also offers a diverse selection of properties to suit all budgets and expectations. Glass Curtains from Glass Curtains Costa Blanca Murcia are an established company offering competitive prices with a highly professional installation service, including a 5 year guarantee.